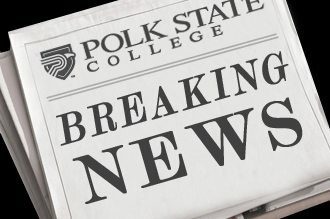 Polk State College’s District Board of Trustees worked through a busy agenda at its November meeting, hearing an impressive report from one of its charter high schools, appointing members of a new advisory board, and approving President Eileen Holden’s annual performance evaluation. The meeting took place Monday on the campus of Polk State Lakeland and was its final meeting of the calendar year. Polk State Lakeland Collegiate High School Director Sallie Brisbane received applause and congratulations from DBOT members and other attendees following her overview of the school’s annual progress report. 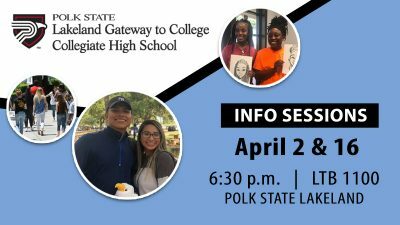 Polk State Lakeland Collegiate is one of two public, charter high schools the College operates to allow juniors and seniors to fulfill requirements for their high school diplomas while also earning college credit; Polk State Chain of Lakes Collegiate is located in Winter Haven. Polk State Lakeland Collegiate High School reported a 12 percent jump in the number of students earning an Associate in Arts degree by the time they graduated. Twenty-six of 58 students — or 44 percent — graduated with both their high school diplomas and AA degrees. The share of students earning substantial numbers of college credits also increased significantly. The number of students deemed college-ready — a classification based on the Postsecondary Education Readiness Test — who earned 45 or more credits by the time they graduated jumped by 16 percent. Students considered pre-collegiate — also based on the PERT — who earned 30 or more college credits jumped 7 percent. Sixty credits are required for an associate’s degree. The school also scored highly in its goals for sound financial operations, making regular briefings on its progress to the DBOT, and achieving positive results from satisfaction surveys of parents and students. Brisbane said it was the first time the school had met all of its goals since she became director in 2007. “We’re continually raising the bar and striving for higher levels of excellence,” said Brisbane. In other business, the DBOT also gave their unanimous OK to a list of proposed members of the advisory board for the renovated Polk State Lake Wales Arts Center. In late 2011, the College and the Lake Wales Arts Council announced an innovative collaboration that involved the College accepting title to the Lake Wales Arts Center. In exchange for the building — which has been renamed the Polk State College Lake Wales Arts Center — the College agreed to renovate and maintain the facility. Renovations are nearly complete and the building, located at 1099 State Road 60 East, will open for classes in January. 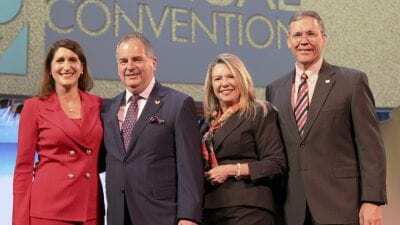 Also as part of the agreement between the College and the Lake Wales Arts Council, an advisory board was to be created that would include six members appointed by the DBOT and five members appointed by the Arts Council. Polk State Winter Haven Provost Sharon Miller presented the list of proposed members for the DBOT’s approval. The newly appointed members of the Polk State Lake Wales Advisory Board include: Doris Gukich of the Lake Wales Chamber of Commerce; Lucille Hadley, a Polk County resident who coordinates the College’s annual FallFest event; Clinton Horne of Lake Wales’ B Street Community Center; Jesse L. Jackson, superintendent of the Lake Wales Charter School District; Lorrie Jones, a Polk State faculty member; and Greg Littleton, president and CEO of Citizens Bank & Trust and a member of the DBOT. The Lake Wales Arts Council has already approved its members of the Advisory Board. Holden took the vote on the advisory members as an opportunity to compliment Miller’s work in guiding the transition of the building to a College facility and in forging new relationships in the area. “When we accepted what is now the Polk State College Lake Wales Arts Center, we not only took on a building but also deep-rooted feelings about the Arts Council in the community. Dr. Miller has done an outstanding job in meeting with the Arts Council and figuring out what our role is going to be,” Holden said. DBOT members also unanimously approved Holden’s annual performance evaluation, in which she received across-the-board high marks following another banner year at Polk State. The DBOT will meet again on Jan. 28 at 4 p.m. in room LTB 1100 on the Lakeland campus.